[I]f you are really serious about becoming an independent game company, you need to have a proper business model. When most companies develop a product, they understand that there is a whole cycle, during which the company will lose money as they are researching, developing, and manufacturing the product. However, if the product is good enough, then people will purchase it and the company will do fine. Being myself of a finance background, I read that statement and see one thing: risk. In Nick’s view, companies—be they upstart entrepreneurs or multinational corporations—are expected to take on the risk of developing a new product and bringing it to market, and thus incur the costs of research, design, development, marketing, and financing. We agree this is the traditional model, but why is it the “proper” model? For one thing, the model is inherently inefficient. The R&D and development cycles, in the past 10 years or so, have developed synergy with marketing; prospective customers are often interested in the development of products, and early feedback can improve the final product. Offering customers a glimpse into the process, especially using social media, bloggers, and other nontraditional media, creates a long runway to build hype and excitement for the product. The finance function, in comparison, has long been relegated to a different part of the building, the land of spreadsheets, suits and ties, and right-brained business-types. “Proper” businesses get financed by pleading with banks or seeking private investors, both of whom demand business plans, cashflow projections, debt covenants, and shareholder agreements. You’ve almost certainly got to quit your day job, and you’d better not plan to draw a salary. In short, it takes not only careful planning, but also financial expertise and an understanding of how this process works to be successful. When traditional fundraising fails, as it often does, entrepreneurs fall back on taking a second mortgage or draining a 401k. Either way, “proper” financing results in very concentrated risks: the entrepreneur, the debtholder, or the shareholders bear the entire burden. It’s a daunting prospect. Simply put, crowdfunding is a better way for small ventures to finance. First and foremost, it’s lower cost, because Kickstarter itself earns almost nothing and backers neither take equity nor earn high interest rates on the debt. Second, the hurdles to raising money are lower: there is no cottage industry of investors and financiers to be wooed; there are no legal fees to be paid or agreements to be drafted and redrafted; no dog and pony show to prove yourself; and no delay between finalizing agreements and receiving cash infusions. Most importantly, there is no duplication of efforts. Crowdfunding taps into that Marketing-R&D synergy by enabling those activities to contribute directly to the fundraising effort, rather than working against fundraising efforts (there are few things investors hate more than marketing expenses.) Put another way, any game company which intends to be successful must finance, develop, and market its product; Kickstarter allows the company to do all three at the same time in a single effort. It’s more efficient. 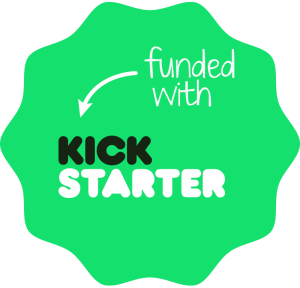 The kicker is that successful Kickstarters have a much easier time of securing traditional investment and financing, because a successful Kickstarter is a clear signal that a market exists for the company’s prospective product. So not only is a crowdfunding campaign a cheap way to raise money, for large projects that cannot be funded exclusively on Kickstarter backers, it actually lowers the cost of traditional financing, as well. If you wanted to build a “proper” company with a “proper” business model and “proper” financial structure, you would have an easier go of it if you started with Kickstarter. While Nick states that large companies like Wizards of the Coast and Fantasy Flight Games are unlikely to “get into a crowdfunding campaign,” I’m actually surprised they haven’t already, because their competition certainly is. The problem is, for every really good Indie game that gets launched on Kickstarter, there is another game being launched by a group that has already done multiple Kickstarters and are just going through this process because it is the only way they know to be able to fund game production. Of course, what Nick is really objecting to is the subtle shift of risk from the developer who launches his crowdfunding campaign to the customers who back it. That’s a fair concern, and as backers of Kickstarter projects, we should know what we’re getting into and who we’re trusting with our money (caveat emptor, as they say.) While I’m not naïve enough to believe Kickstarter doesn’t have its share of unscrupulous hucksters, this really comes back to the issue of accountability and transparency. Good companies shouldn’t shy away from Kickstarter, and customers shouldn’t shy away from backing them. It really is not the best way to do business if you wish to have a company which will succeed in the long run. As a concept, crowdfunding is simply too new to validate this claim. While there’s precious little academic research on crowdfunding in general (I direct you now to Wharton professor Ethan Mollick), most academics focus on projects while very few—possibly none—are looking at the companies behind a project. Besides, there simply hasn’t been enough time to evaluate the “long run,” since Kickstarter itself is only five years old. Even if we accept this argument—a correlation between “add-ons” and failure to deliver a project—at face value*, it overlooks the way Kickstarter campaigns are planned and conducted. Companies plan their campaigns, including add-ons and stretch goals, to maximize social media/marketing interest and increase the likelihood of funding. This is to say, marketing strategies traditionally left out of fundraising efforts have become very useful tools within the marketing-finance complex that is a crowdfunding campaign. 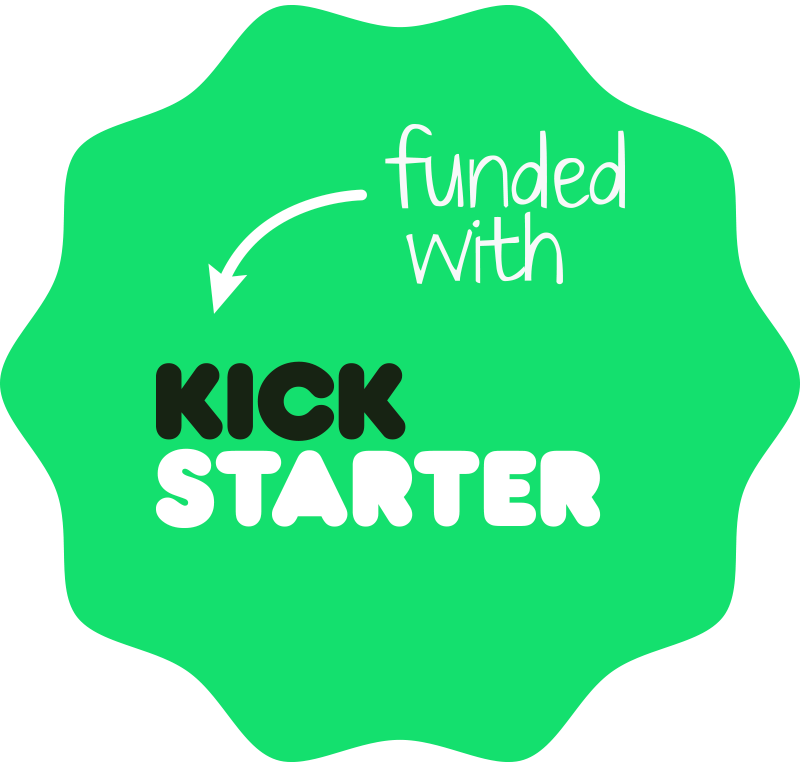 Like any marketing campaign, the key component of a successful Kickstarter is a call to action. For many campaigns, the tiered approach of add-ons and stretch goals functions in this way; the belief is that, if a project is close to hitting a new goal, existing backers will increase their pledge or promote the campaign to their friends, increasing the likelihood of hitting higher targets. In this way, developers often map out a vision for their final product then break that vision into more digestible, promotable chunks for their crowdfunding campaign. Of course, many companies then resort to traditional financing to fund the gaps between their “funded” product and their final vision. * Professor Mollick’s paper, linked above, lends some credence but does not draw a definitive conclusion; it was also limited to analyzing projects through July 2012, so it could hardly comment directly on current trends. What I really see is a horrible addiction to using crowdfunding as an easy way to generate revenue for a project that you are uncertain about, with less risk… the next thing you know you see these groups throwing any product they can find out into the market in the hopes of another cash grab to fund their trips to conventions, to pay for things we do not know exist, to cover costs they feel they should not have to pay for any more. Call me an optimist, but I don’t think that’s the case. Crowdfunding is certainly a way for a developer to eliminate uncertainty and reduce risk. While I believe crowdfunding is an easier way to fundraise than traditional financing, I really don’t think crowdfunding is “easy.” Listen to anyone in the games industry who has run a successfully-funded Kickstarter: it’s exhausting. It requires tons of planning, promotion, and community engagement. For the length of the campaign, the Kickstarter becomes a full-time job. Simply getting a project funded is a pretty good indicator that the developer is serious about the project, and the academic data confirms this; Professor Mollick’s study found that 75% of funded projects ultimately delivered. But we shouldn’t think of crowdfunding in terms of a single project, or even a single company. We should think of it in terms of the industry and, ultimately, gamers. Backers aren’t investors, so we shouldn’t measure the usefulness of crowdfunding by how many successful companies it produces, but rather by how many satisfied customers it yields. Ultimately, if I enjoy playing FATE Core and think it was worth backing, what do I care if Evil Hat Productions uses the proceeds for their company retreat in Las Vegas? Of course, the follow-on effects are huge. More games, settings, products, and concepts are available to gamers now than ever before. I’ve never backed a Reaper Minis campaign, but I’ve bought at least a dozen minis that were created with Kickstarter funding. The entire Old-School Revolution (OSR) movement was spurred on by Kickstarter, which has also yielded critically acclaimed games like Numenara, DungeonWorld, 13th Age, and FATE Core, along with ubiquitous virtual tabletop app, Roll20. With more games to play and more ways to play them, one could make the argument that Kickstarter has catalyzed the most growth in the industry since Dungeons & Dragons itself. That said, there is a very real problem with the crowdfunding model: the media. As journalists, we aren’t demanding the transparency and accountability that consumers—our readers—need to make good decisions. We simply haven’t caught up to the changing trends in the industry around crowdfunding. Too many blogs and podcasts serve as glorified PR arms for the companies who fund their projects through Kickstarter, because, if we ask the wrong questions or are too critical of a company or project, we risk losing access in the future. Furthermore, the gaming media, like the industry itself, is largely comprised of gamers. Though Nick and I are certainly exceptions, most members of the games media—and, frankly, our readers—simply have a greater interest in game products and the designers themselves than in the companies behind them. It’s an uphill battle, and a difficult sell for one of the few large media outlets in the industry to actively drive efforts to improve transparency and accountability. That’s a shame, because Kickstarter is great for gamers. This entry was posted in Thinkpieces and tagged Business, Crowdfunding, Kickstarter, RPG, Thinkpiece. Bookmark the permalink.